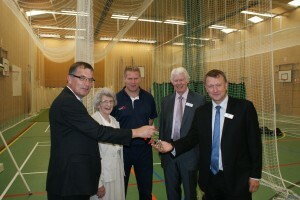 The £120,000 refurbishment project at Carre’s Grammar School has just been completed, opening doors to better sporting opportunities. 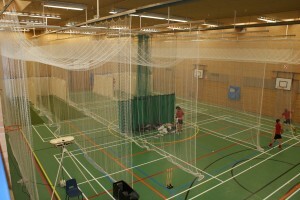 Robert Woodhead Ltd have worked tirelessly on the project which now features brand new changing facilities, four new cricket nets replacing the two previous ones; National Standard Basketball markings incorporated into the layout, and the facility will now not only cater for all previously played sports, but will also introduce a new sport to the school – Futsal. Futsal was developed during the 1930’s/40’s in Brazil and Uruguay as a variant to association football but played on a smaller field, or indoors. Futsal will offer an alternative to football, which is already widely, played across the district. North Kesteven District Council is committed to the heath and wellbeing of its residents and has already refurbished Sleaford Leisure Centre with plans to refurbish North Kesteven Sports Centre. 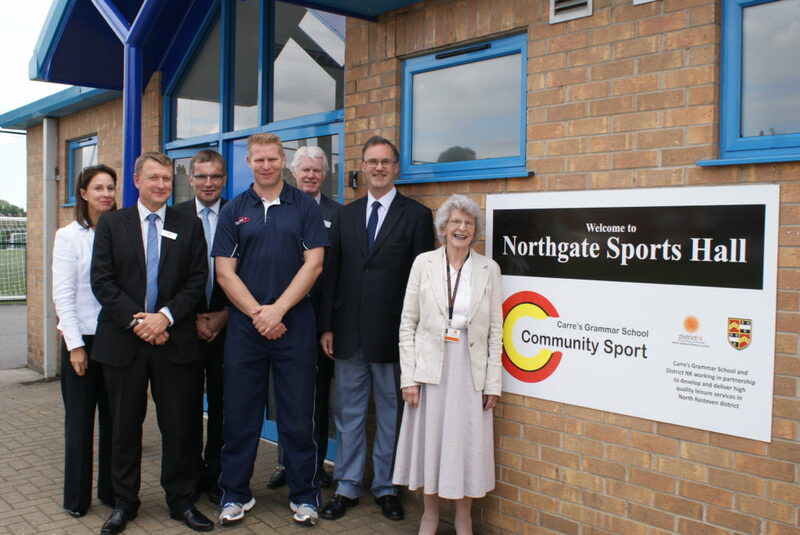 To celebrate the completion of the refurbished facility, and the introduction of new delivery relationship, former England Cricketer, Matthew Hoggard MBE visited the Sports Hall on Friday 12th September. Matthew spent many years playing the sport he loves internationally, but currently plays for and captains Leicestershire County Cricket Club. 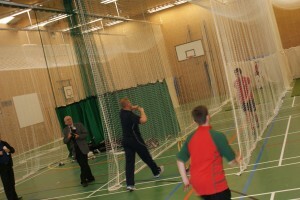 Matthew will be conducting a coaching session with the Schools PE students.